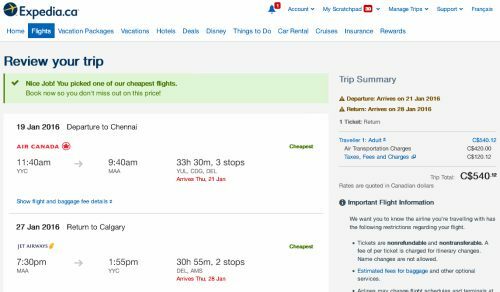 KLM and Air France are showing some pretty insane prices on flights from Calgary to India right now. It can be worth mixing and matching the departure and return dates from above, to try and find longer or shorter trips at similar prices. UPDATE: Nov 18 @ 9:06 AM MST - Prices appear to be back to normal this morning. Where to stay in Chennai, Bangalore, Delhi, or Dubai ? The following AirBNB links will lead you to some great deals on places to stay in Chennai, Bangalore, Delhi, or Dubai for under $49 to $138 CAD/night for 2 people. 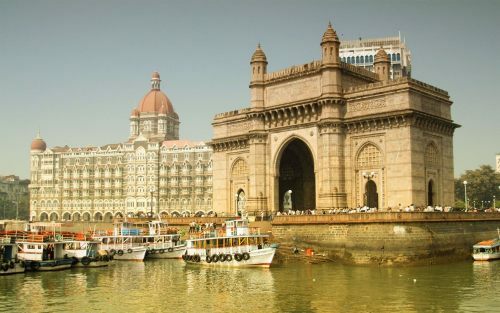 calgary, yyc, flight deals, asia, air france, klm, persian gulf, chennai, india, maa, south asis, bangalore, blr, delhi, del, abu dhabi, united arab emirates, the middle east, auh, dubai and dxb. 2 Responses to "Calgary to India - $540 to $612 CAD roundtrip including taxes"
Thanks for posting this. I tried booking it today and yes sadly the prices are back to normal. Will you be doing another blog post on if it goes down again? I would definitely let everyone know if prices went back down to anywhere near that level. It was an extremely unusual price drop, the only time I've seen it happen in 6 years.